Given our rich industry experience and expertise, we are offering Storage Tanks to our clients. These have the capacity of storing gallons of liquids such as water and fluids. These Storage Tanks are easily installed and are used in chemical industries and other industries. These are made by experts by using high-grade material and are reckoned for their high storage capacity. 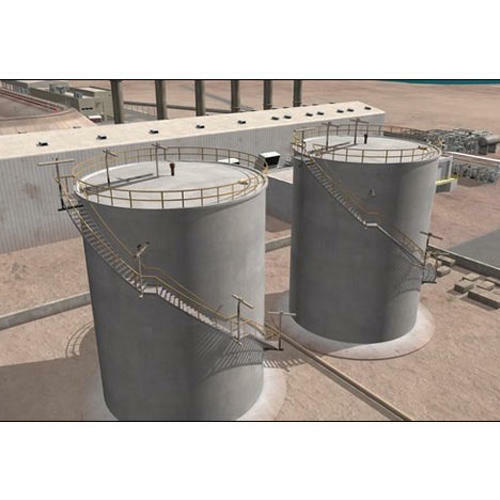 These Storage Tanks are offered at the suitable price. With our incorporation in the year 2010 at Hyderabad in the state of Telangana, as a Partnership firm, we, KH SYSTEMS, have marked a distinctive place in the market as the most prominent names as Manufacturer, Supplier and Wholesaler of a wide and quality range of Material Handling Machines like Material Handling Conveyor, Screw Feeder, Mill Feeder, Coal Handling Plant, Air Scrubber and other Material Handling Equipment. Our machines are accurately designed and manufactured by our skilled and knowledgeable professionals with the assistance of most modern technology and superlative quality raw material which are in conformation to international quality standards. Other than offering this vast array of products, we also render Fabrication Services. Despite offering our products and services in the best of quality, we offer them at industry leading prices.